Danielson, CT -June P. (Zmitrukiewicz) Duclos, 64, of 26 Isabella’s Place, Danielson, CT passed away on August 19, 2018 after a short illness. Born in Putnam, CT, June was the youngest daughter of the late Joseph A. and Louise R. (Ierardi) Zmitrukiewicz. 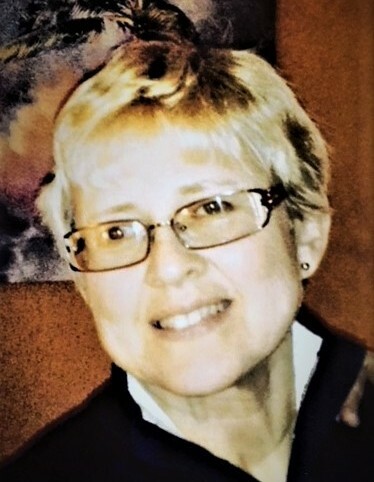 June leaves her daughters, Betsey M. Kuhn of Brooklyn, CT and Lori A. Werkheiser and her husband Robert of Norwich, CT. She was “Babchie” to her beloved grandchildren Hayley Jade Kuhn, Aiden Joseph Werkheiser and Brooke Elizabeth Werkheiser. Above all else, being with her daughters and grandchildren meant the most to June. June leaves her brother John A. Zmitrukiewicz and sister Anne M. Batchelor and her husband Marshall. She leaves her beloved Aunt Eleanor (Zmitrukiewicz) Stewart of Scarborough, Maine. She also loved dearly, Ronald R. Benoit, Rhonda A. Rooney, Joey L. Normandin and husband Noel, and their children, Kyle, Erika, Alex, Ian, Isabella and Rocco and many friends that saw her through her illness. Services are private, but there will be a Celebration of Life on October 14, 2018 from 1-5pm at The Valley Springs Sportsman’s Club on Valley Road in North Grosvenordale, CT. This will be a joyous occasion at June’s request. For those who wish, monetary donations can be made to the Rose Monahan Hospice House 10 Judith Rd, Worcester, MA 01602. 508-421-5120. The Shaw-Majercik Funeral Home, 48 School St., Webster, MA has been entrusted with her arrangements. A guest book is available at www.shaw-majercik.com where you may post a condolence or light a candle.